...one of those days that we will remember forever...Mariolà is Best of breed, Best in Show italian breeds, 1°of group 5 ......and Best in Show 3°..!!!! ...it's very difficult to see a Cirneco dell'Etna on the highest steps of the podium, so this is a result of proud for all the Cirneco lovers..! 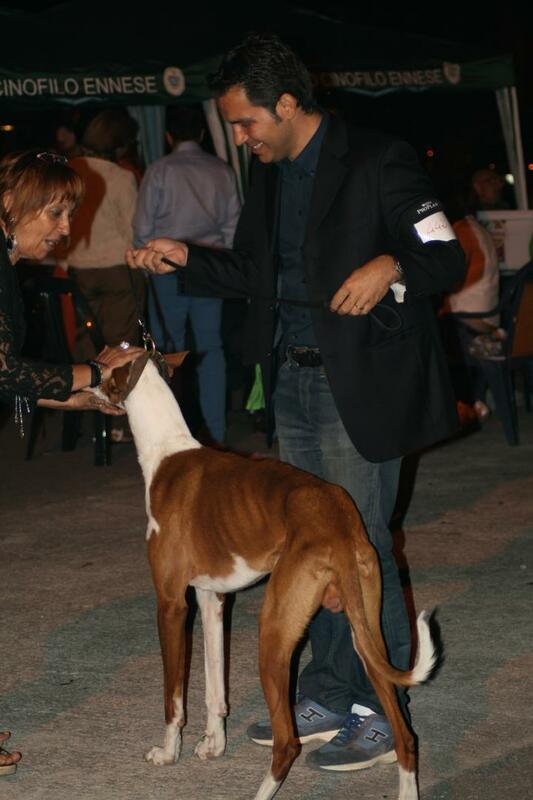 Very important dog show in the center of Sicily,special thanks to the judces Nicola Imbimbo for the Best of breed on 15 dogs, Manola Poggesi for the Best in Show italian breeds, Orietta Zilli for the 1° place of group 5 and Giuseppe Alessandra for the Best in Show 3° on 442 entries..! Our Saluki Asia is 1° excellent in open class Best of breed. Mariolà happy for her Bob...!!! !